Ready for romance, comedy, and mayhem? The Virginia Shakespeare Festival will kick off its 35th season June 20 with William Shakespeare's comic masterpiece, "Midsummer Night's Dream" followed by "The Tragedy of Richard III" and Henry James' classic thriller "The Turn of the Screw." The Festival continues a long history of Shakespeare in Williamsburg. In fact, Williamsburg was the first place that Shakespeare's plays were professionally presented in the New World. It all started in 1753, when the Hallam troupe of London arrived to present The Merchant of Venice here (making this year's production an ironic choice!). 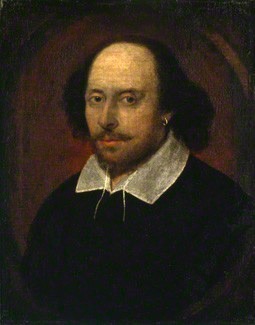 In honor of this dramatic past, the College of William and Mary created the Festival, which presents two or more of the Bard's plays each summer. All performances are held in Phi Beta Kappa Memorial Hall on the William and Mary campus. To access a Google map of the hall, click here. William Shakespeare's most produced comedy, this fanciful story of love and magic has thrilled audiences since the 16th century. Summed up in the play's most famous line - "Lord, what fools these mortals be," - it's a delightful play for the whole family. "The Tragedy of Richard III"
This tragedy of the strange and possibly misjudged life of King Richard III details the hunchbacked and murderous monarch comes at a perfect time-- just months after his body was found and identified under a parking lot in Britain. Does Richard deserve his poor reputation? Or was his misjudged? Henry James' novella-turned-play has thrilled and perplexed audiences for decades. Is it a ghost story? Or a twisted example of madness? Only James will ever know for sure, but the twists and turns of this classic play will keep you debating for days or weeks. Good news! Ticket prices have actually stayed the same as last year (good to know something hasn't gone up!). Subscriptions are $40 for both plays. Single tickets are $27.50 for adults and $15 for students, and $10 for children. The group rate (for 20 or more pre-paid tickets) is 20% off. You can reserve tickets by phone, or through their website - http://www.wm.edu/as/vsf/. They also offer summer camps for students ages 9-17. Students will study Shakespeare's language, the choreography of stage combat, and period costuming. Camps last one week and finish with an abridged version of a comedy. The cost is $225 per camper. Camps quickly sell out, but even when they do, they take names on a waiting list, so it might be worth a try! For details, call 757-221-2683. While in Williamsburg, why not visit the Historic Area? We've listed our top five favorite spots at Colonial Williamsburg (as well as the spot you should skip). Before you go, make sure you check out our free guide, "Secrets to a Cheap Colonial Williamsburg Vacation". Beyond the Virginia Shakespeare Festival-- Here's a Shakespeare Center Where They "Do It With the Lights On"
If you love Shakespeare, the Blackfriars Playhouse, home of the American Shakespeare Center, is our personal favorite place to see the Bard's plays. "Think you’ve seen enough Shakespeare already? Not ‘til you’ve seen it played in the original language by actors wearing everything from go-go boots and fish costumes, to Panama hats and Hawaiian shirts." Intrigued? Read the rest of our review-- including how to get in for less-- by going to our Blackfriars Playhouse page.